Whether it's just one server move or a full room of server racks we have the right solution for you! Cheap, professional and always as planned! Meet our IT engineer to see our portfolio. Full range of data center relocation services. As a leader in the IT moving industries, we provide a number of services relating to server and IT equipment removals. We can relocate a single server as well as the entire data center, computer network and a Telecom network. We have a team of professional IT engineers who will guide you throughout the server relocation stages. They will work with you to plan the best relocation strategy suitable to your needs. They are also capable of dismantling and properly packing your server and IT equipment for relocation. Contact us for a free online on-site survey to plan your server move in London, Birmingham, Bristol, Newcastle, Leeds, Manchester, Glasgow, Edinburgh and across the UK. If you hire server moves London to provide these data center removals for your business, you are taking the stress and moving responsibility off your shoulder. You should have rest of mind because you have gotten one of the best London server moving company with the required expertise and wealth of experience in the IT moving industry. Our server moves experts in London know the necessary steps and requirement for such types of services and they are poised to offer you quality solutions. We have successfully handled such server relocation for big businesses across all the UK and they were all satisfied. So, we are hopeful that you will be satisfied like them. 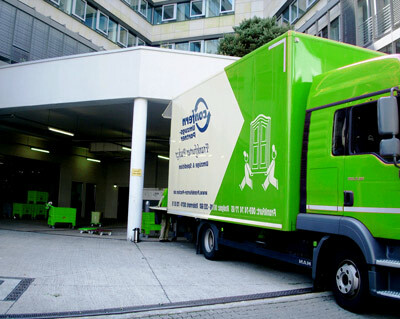 Best server movers London is the UK 's leading IT relocation service provider, specialising in server relocation. 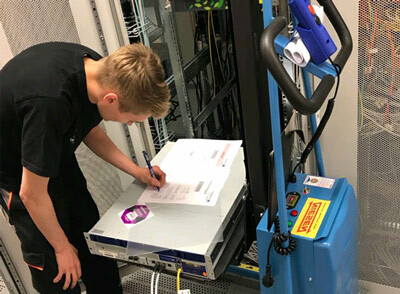 Our London server moving company is committed to offering a complementary array of IT relocation services to support businesses during their corporate IT and computer equipment relocation as part of a major change period. As one of the leading server removal companies in London we organise and manage UK-based and international IT equipment relocations and transport services, primarily for computer Servers and PCs. London Data Center removal companies offer a comprehensive site survey to assess the requirements, understand the time constraints and the existing environment as well as apply resources to deliver and implement server removals programme. Server Relocation companies provide a wide range of computers relocation London and computer moving services that can be tailored to your individual requirements. Server Removals London are the leading computer moving company, business migration and IT network moving consultants in London. London server movers organise and manage UK-based and international relocations and transport services, primarily for computers, Servers, telephones, laptops, docking stations, screens, projectors and PCs. Our server relocation services are available to you across all Europe. We can relocate your data center to Austria, move your servers to Germany, or transport your IT equipment to France, Spain, Belgium, Holland, Denmark, Italy, Poland and more. Server and IT equipment are very delicate and require expertise and skills when they are being moved. 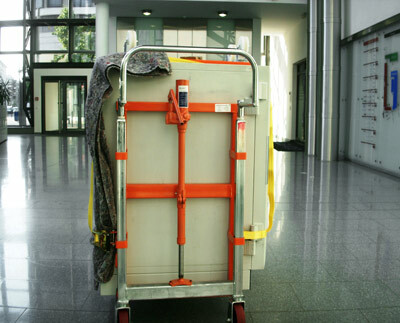 If you are moving your server and IT equipment to your new business location or you acquired one and you are looking for a London office removal company to relocate a data center for you, it is important that you hire a reliable and reputable moving company with the required expertise and experience to move such delicate tools. Having being in the moving industries for years and having successfully relocated many servers and IT equipment for various businesses and institutions, we feel glad to tell you that we are the right server and IT equipment mover you need. We offer a number of server and IT equipment relocation services tailor made to suit every need. Though, we based in the UK but our relocation services are not only limited to the UK. We can relocate servers and other IT equipment from London, Brighton, Cardiff, Nottingham, Reading, Plymouth, Cambridge, Ipswich, Norfolk, Leicester or from Derby to various countries in Europe and across the globe. We work with many server relocation companies that have bases in many countries like Finland, Norway, Czech Republic, Ireland, Slovakia, Slovenia, Germany and more..
We know that there are other businesses that are ready to offer you their server racks dismantling and moving services. But we are confident that you will get quality services from us. If you care about your business and you will like your server and IT equipment to be relocated safely and successfully, then you should consider hiring our services. As a customer oriented moving company, we put the need of our business first. Our experts will work according to plan and your requirements. Server relocation can interrupt business activities. But our experts will take the necessary measures to ensure that your business activities are not interrupted throughout the process of the server relocation. So, you will not be losing your customers in the process. We also offer server removals in Stratford, removals in Islington or removals Ealing and in removals in Clapham. Server relocation London know the importance of security during server relocation service. So, we guarantee you unequal security during the process. We have taken the necessary steps to ensure the security of your server. Our vehicles are well equipped to ensure safe and discreet moving of your servers. None of the data in your system will be lost during the moving process. Our London data center moving services are tailored made to meet the needs of our clients. If you have any specific needs, do not hesitate to discuss it with our experts. They will always work out a moving plan suitable to your needs. We have efficient customer service which is available on 24/7 basis. You can contact them anytime you want. During the move, you will be update on every stage until your server is delivered to the final location. We have beaten our competitors in these areas. This is why our clients have continued to use our services and refer people to us. Call us today to wind out how much is to move servers in London.